It's not been that long since we reviewed the second version of Unified Color's HDR Expose software program, but here we are eight months later looking at the third generation. In this review, we'll ask: is the upgrade worthwhile, or should you hang on to v2 for a bit longer? 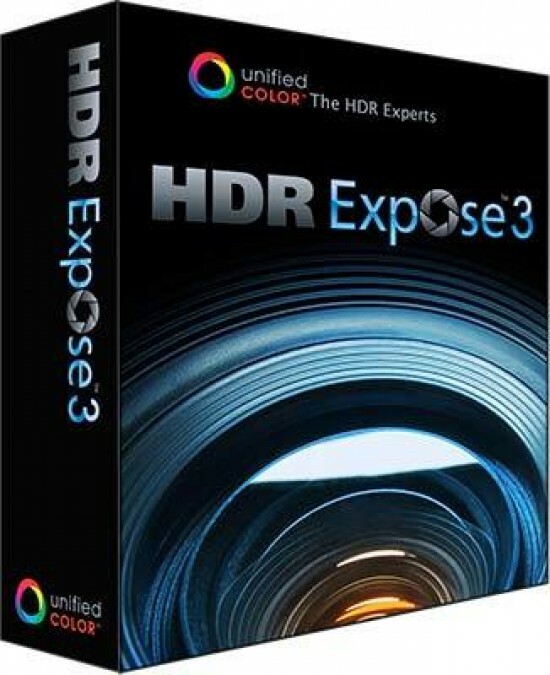 Unified Color Expose 3 costs around $119 or $59 if you're upgrading and is available from The Unified Color website. Customers who bought v2 after April 24, 2013 will get the upgrade free. 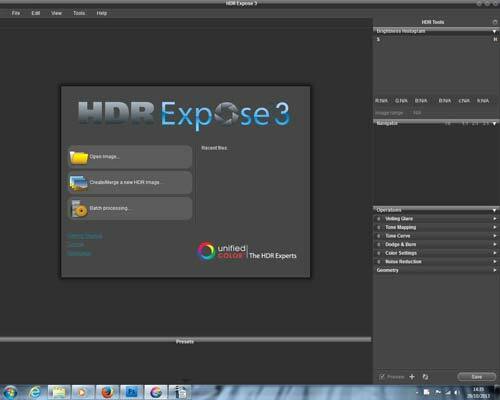 As is typical these days, HDR Expose 3 is available on a 30 day free trial if you want to have a go before making your mind up. We downloaded the program from the Unified Color website in under 5 minutes. This will vary depending on your internet connection. Importing images looks easy enough, but there are a few areas that are easy to catch you out until you know about them. For example, it's worth placing your HDR images into a separate folder and loading them in that way. Sometimes the pictures won't automatically register as linked together and will list as individual images. All you need to do is drag one on top of the other and they'll stack. Ensure the Source Filter drop down is selected to the type of file extension you're using or the folder will appear empty. After the pictures have uploaded into the Import window, highlight all the images you want to merge and press the blue Merge button. 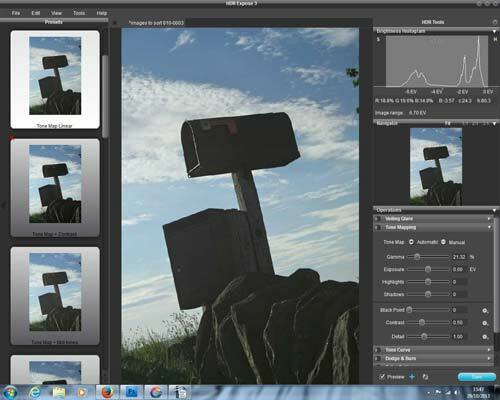 Once the pictures have been merged, HDR Expose 3 will automatically check for distortion issues, such as ghosting. 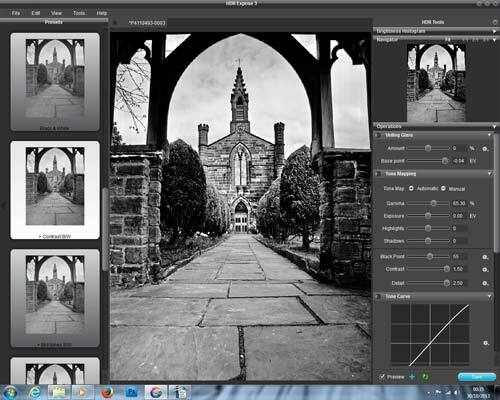 In fact, one of the major new features of HDR Expose 3 is an upgraded ghosting feature that allows you to choose a layer to use information from to fill in any missing data on a photograph due to moving people or swaying trees, etc. Unified Color have also upgraded the merging system to compensate for extreme misalignment. This means that if you have even hand-held the pictures, HDR Expose 3 should be able to compensate and create a successful merge. Once the images have merged, you need to tone map them and HDR Expose 3 has a new Adaptive Tone Mapping feature. Once the program has analysed the image, normally it applies a linear tone curve. This can sometimes cost the highlights or the shadow and in our review of Expose 2, we pointed out that the program indeed struggled with extreme highlights. The third generation version will adjust the tone curve to compensate for abnormal exposure areas and balance them out better. As with HDR Expose, 32 Float has also been upgraded. 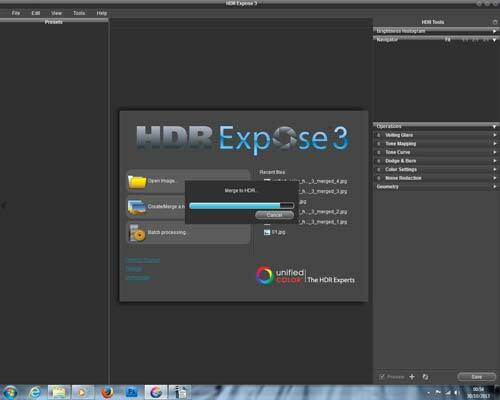 If you're unfamiliar with it, it's a clipped version of HDR Expose 3 and only works as a plug-in for Photoshop. It's a bit like what Elements is to Photoshop. It offers many of the same features without the comprehensive power of the main program, the advantage being that it's generally cheaper. 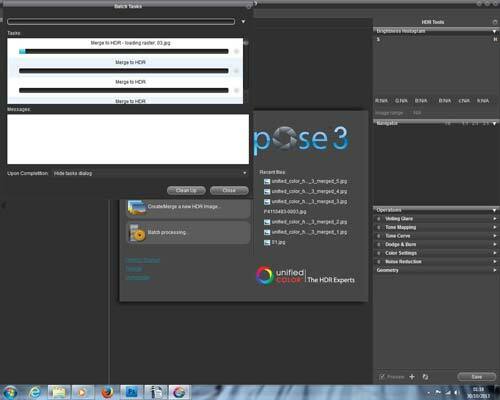 32 Float V3 has also had the Adaptive tone mapping added to it as well as the 100% Beyond RGB workflow. The 100% Beyond RGB workflow ensures that everything you do in 32 Float and HDR Expose 3 are done within the Beyond RGB colour space.